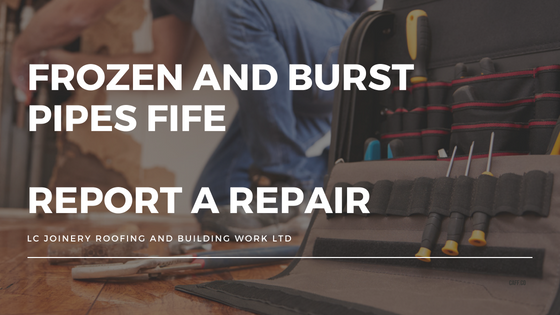 Having a burst or frozen pipe can cause damage to your property however to minimise the likelihood of this occurring, we recommend you take the following precautions. Check that your stopcock is working properly. This is normally located under the kitchen sink or in the bathroom. If you are not sure where it is, contact us immediately. Do not wait until you have an emergency. Make sure everyone in your household knows where the stop tap is and how to turn it off. If you are going away, think about leaving the heating switched on. Alternatively, switch your heating off, turn off the stopcock and drain off the hot and cold water systems. If you are not sure what to do, contact our office for further advice. In your absence you may want to leave a key with the neighbour who can keep an eye on your home. Turn off the water at the stopcock immediately. Open all the taps to sinks and baths in order to drain the system. Warn neighbours who may suffer damage as a result of burst pipes in your home. Give us a call and we will arrange for a plumber to repair the leak. This will be treated as an emergency. These occur mostly in the winter and something we receive a lot of calls about especially in the bad weather. When you call us, you will know for sure that you have a recommended company come out and repair the pipe and also any further damage this may have caused. What’s up it’s me, I am also visiting this website on a regular basis, this site is in fact fastidious and the usrs are actually shyaring pleasant thoughts.